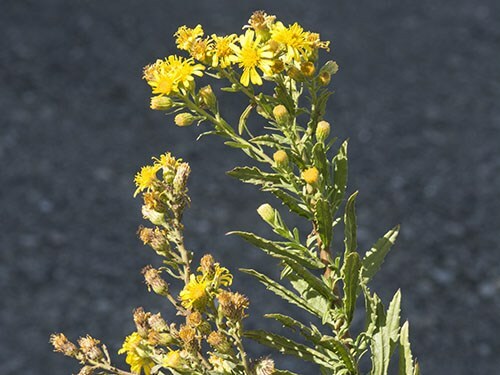 Dittrichia viscosa (false yellowhead) is a perennial herb/subshrub (family Asteraceae) with golden-yellow flowers and thin toothed leaves found in the Sacramento Valley and San Francisco Bay area in California. It is native to the Mediterranean Basin. It favors grasslands, wetlands, and riparian and bottomland habitat. It reproduces by seed and is spread primarily via wind and water.